Israel’s Director General of the Ministry of Foreign affairs Yuval Rotem has welcomed Australia recognising Jerusalem as the country’s capital. Several members of the ruling Likud party came out against what they perceived as Australian prime minister Scott Morrison’s half move. 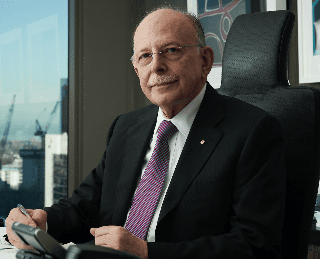 “Australia is a great friend of Israel and we appreciate the warm relations, but there is no such thing as “West Jerusalem” and “East Jerusalem, there is only Jerusalem, Israel’s united and eternal capital” said Minister for Regional Cooperation Tzahi Hanegbi. In the meantime, reactions have been recorded from community organisations. 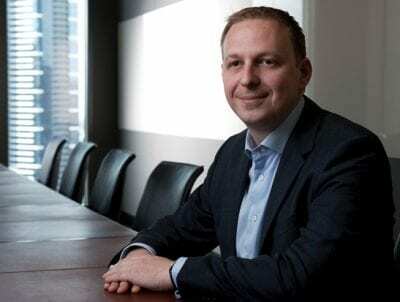 The Zionist Federation of Australia whose president Jeremy Leibler who said the announcement by Prime Minister Scott Morrison recognising West Jerusalem as the capital city of Israel, as ” historic and principled”. Mr Leibler said that any suggestion the decision to recognise West Jerusalem as Israel’s capital, including a future embassy move, would undermine Australia’s long-term policy commitment to a negotiated two-state solution was misguided. Australia/Israel & Jewish Affairs Council (AIJAC) welcomed and commended the Australian Government’s principled approach as an outcome of its reviews on Jerusalem and on Australian policies towards Iran, in light of that country’s increasingly destructive and belligerent behaviour. They said that acknowledging east Jerusalem could be the capital of a future Palestinian state, shows a real commitment to progressing a two-state peace. “Australia has finally ended the anomaly whereby Israel is the only country in the world which does not have the right to choose its own capital on its own sovereign territory,” he said. Leibler also commended the Prime Minister on his willingness to call out the UN General Assembly and its deplorable, biased behaviour. condemning Israel, but failing to even once condemn Hamas’ violent terrorism, shows that Australia is prepared to take a moral stand, even if it means going against the international tide,” he said. AIJAC’s executive director Dr Colin Rubenstein added: “Taking this principled decision in the right direction demonstrates the Prime Minister’s courage in standing up to bullies who have tried to intimidate him, but who do not have the interests of peace at heart. “This decision can be seen as an important part of Australia’s long-standing bipartisan policy of seeking to promote a lasting, negotiated two-state peace between Israel and the Palestinians. “To use the Prime Minister’s words, the peace process has reached a ‘rancid stalemate’. demonstrate to the Palestinian leadership that its refusal to negotiate in the expectation that the international community will accept Palestinian demands without the need for compromise will not succeed,” Rubenstein continued. Prime Minister Scott Morrison’s announcement has been welcomed by Chair of the Australia-Israel Parliamentary Group, Senator Eric Abetz. 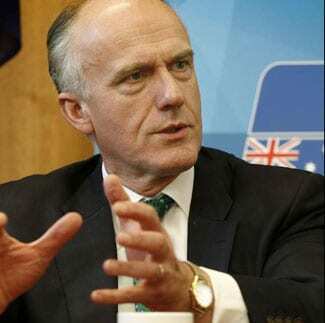 “This balanced and nuanced decision is a very positive step forward both for Australia and the international community in both recognising Israel’s right to determine its own capital but also in laying the groundwork for a two-state solution in the future,” Senator Abetz said. “I congratulate the Prime Minister for carefully and sensitively considering this important decision and am pleased that it has come to such a positive and balanced landing,” Senator Abetz concluded. In New Zealand a long-term supporter of Israel who has spoken at many pro-Israel rallies, Pastor Nigel Woodley said: “The Flaxmere Christian Fellowship Church in Hastings applauds the recognition given by the Australian government to the city of Jerusalem as being the capital of the State of Israel. We do not believe that such recognition should be used as an excuse by the opponents of Israel for there being a lack of peace or negotiation in the region. True peace can only be reached with a recognition of the truth. And the truth is that Jerusalem has only ever been throughout all her long history the capital city of just one people group—the Jewish people. All this unseemly grovelling obfuscates the disgraceful support that some political rhetoric has given to the notion of splitting the unified city of Jerusalem, and thus support for the inevitable corollary, namely the installation of a terrorist regime which would prohibit Jewish access to the Western Wall, to The Mount of Olives, to The City of David- a regime that would continue its vandalism of Jewish archaeological evidence in its criminal project of erasing the 3,000 year-old Jewish connection to Zion.